Apple will be holding an event on March 2. According to the invite received by Engadget, the event will be regarding the iPad and we know what that means; Apple will be unveiling the second generation model of the iPad. 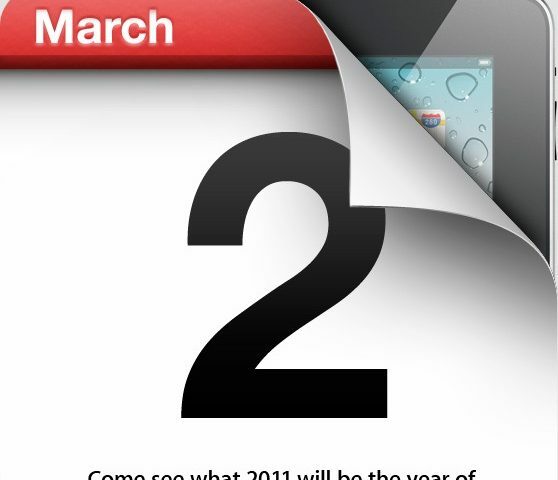 Apple Tablet coming this Month?